Communication: It makes good sense! I’ve developed a bit of a reputation: I like to communicate. Some people might even think I communicate too much… but it’s my natural tendency, and I think it helps make me an effective project manager, so at least I’m using my strengths wisely. Nearly every job posting lists it as one of their “preferred qualifications”: Good communication skills. What exactly does that mean? That answer is probably a bit different in every industry, and communication style varies from person to person, but there are a few basic tenets that life (and many years of experience) have taught me and which will make your working relationships so much more smooth. Some of my examples are specific to my industry of theater & production, but I think the points are easily transferable to almost any field. I don’t consider myself a writer, but I write A LOT of emails… I like email because it provides a written record that is so easy to refer back to, and if people don’t all remember things quite the same way, everyone can refer to the email and put an end to speculation and hearsay. When writing emails, I believe the approach is important. Without the face-to-face contact, it can be difficult to not sound like you’re dictating orders, but it sometimes helps maintain a team dynamic if you form thoughts into questions instead of statements. Often, all the parties already know the answer, but try letting someone respond with what action they think they should take, instead of telling them. Be concise in the wording of your emails. Share enough information that everyone can have a clear understanding of what you’re talking about, but don’t muck up the message with lots of hypotheticals or “maybe”s. Explain what you need to explain, or clearly discuss what needs to happen, then move on. Respond to emails in a timely manner. I really try to respond within 48 hours, maximum. A lot of stuff is time-sensitive, and you don’t need to be the one holding up the process for no good reason. Even if you can’t fully answer someone’s questions, at least give them the courtesy of letting them know you’re working on the answers and will get back to them soon (AND THEN ACTUALLY GET BACK TO THEM SOON). Include all affected people/departments when writing an email. I know that no one likes to get extra email that doesn’t pertain to them, but I’ve found it’s better to be safe than sorry when making sure everyone stays in the loop. SO many misunderstandings and delays can be avoided if everyone impacted by a decision gets looped in from the very beginning of an issue. Along that same line of thought, I frequently send an email to multiple people and then one of them replies only to me. There was a reason that I included a group of people in the original email. I recommend if you get an email you reply to all parties. When you don’t I then need to send another email to share what that person shared only to me, so that all the affected parties stay informed. In the world of theater, the stage manager usually sends out nightly rehearsal reports via email. The idea is to keep every department (scenic design, lighting design, costumes, shop/construction, props, director, artistic director, etc.) informed about challenges, problems, blips that are occurring throughout the process. Questions or issues that affect one department inevitably affect other departments more than we might realize, so when we all “reply all,” then everybody can stay in touch and move forward much more effectively. I find this highly effective in communicating the needs of a production. 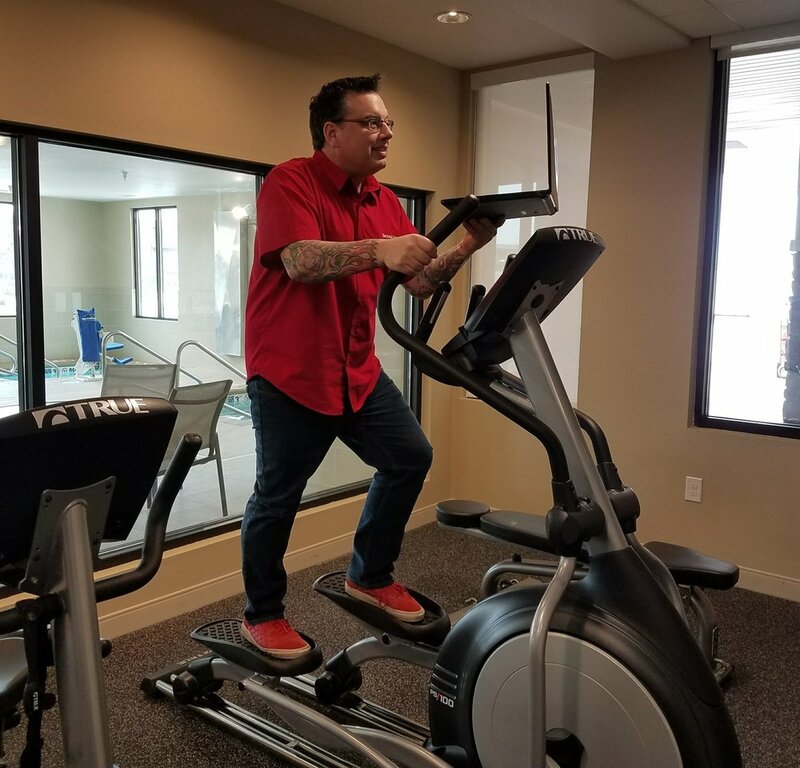 I often am working on multiple productions and this is a great system that keeps me on track. If you have a phone or face-to-face conversation with one team member, make it a habit to follow up with an email restating what was agreed upon, and copy it to the entire team so everyone knows. Try to avoid pocket conversations that leave someone out. Trust me, it’ll save on frustrations or misunderstandings in the long run. Whatever the situation, we are all on the same team… and oftentimes there are compromises that can be reached with open honest dialogue. Voice the challenges. Work together on solutions, and we’ll all come out smarter and happier in the end. Let me share two cool tools that I use for making my email communication even more productive: Mailtrack and Boomerang. They are both add-ons for Gmail that you can download and use free (with some limitations). Mailtrack lets me know when (or if) a recipient has opened my email. No claiming that you didn’t see it, ok? I can tell. Boomerang does lots of nifty stuff: it lets me schedule when my emails get sent (Am I really working at 7:00 a.m. on a Monday? You’ll never know! ), it can remind me to follow up on an email if no one responds to it within a certain timeframe of my choosing, and if I am really busy and start to receive emails that are distracting me from my current tasks, I can “snooze” those emails to come back into my Inbox a little later on. I use the scheduling feature the most. I hope these communication tips are helpful for someone — or at the very least, some of you might understand why you receive so many emails from me. :) Send one back to me at brownknowsthat@gmail.com. Need a break from your email overload? Take a few minutes to browse my Portfolio. But guess what? I still like to build physical models. 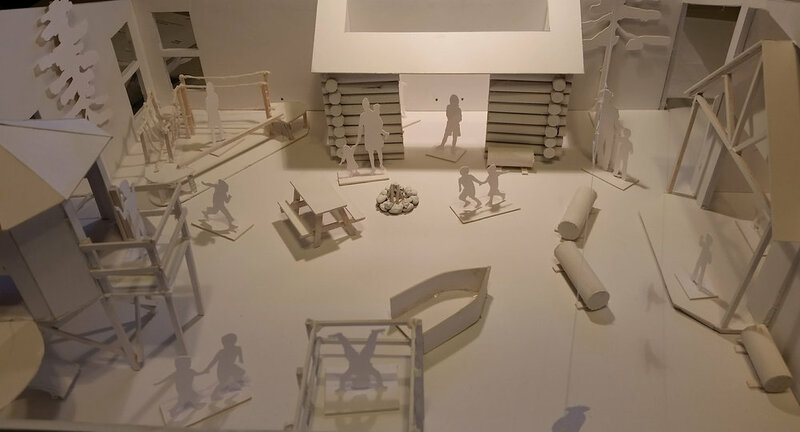 Despite all of the ways I can now create and share detailed and precise design ideas on a computer, there’s no substitute for walking into a production team meeting with a three-dimensional scale model of a stage and scenery — or of a museum space filled with a newly-envisioned exhibit. In college theater design classes, we learned to build full-color 1/2”-scale scenic models that showed every proposed paint color and texture, and although I typically stick to white models now (sometimes 1/2”-scale and sometimes 1/4”-scale), I still include lots of details like trim & moldings, representational furniture pieces, and even some textured materials. Yes, this can all be done as a manipulable digital rendering, but that’s just not the same as having a physical model that can be brought to a meeting and discussed around the table. Often, whether I’m working with a museum staff or a theatrical production team, there are people involved who just don’t have much experience looking at a ground plan and being able to translate those two-dimensional representations into a three-dimensional concept. A model allows me to show and discuss, with less chance of misinterpretation, how each element of the design fits into the given space as a whole, and how each element relates to one another. It gives a clear indication of whether the space feels cozy and intimate, or expansive and grand. When I add teeny little scaled people standing around (or little paper kids running or crawling in my children’s museum exhibits), the designs truly seem to come to life. Then I can also understand (and show others) how many visitors can comfortably enjoy that exhibit space, or how many pit musicians can fit on one platform, or how much space the actors might have for crawling around behind that couch. And there’s also something magic for me about the actual process of creating the model. It’s a tangible, touchable object that literally takes shape in front of my eyes. Sometimes I just can’t decide how large certain components should be, or what shapes of walls and platforms might work well together, until I cut and re-cut pieces of mat board and strips of balsa wood — and stick it all together with my trusty hot glue gun. The smell of hot glue permeates my basement studio area at times, but that smell means that CREATIVITY is happening! Yes, I like the tradition, the utility, and the visualization opportunities that this hands-on method gives me over digital renderings. 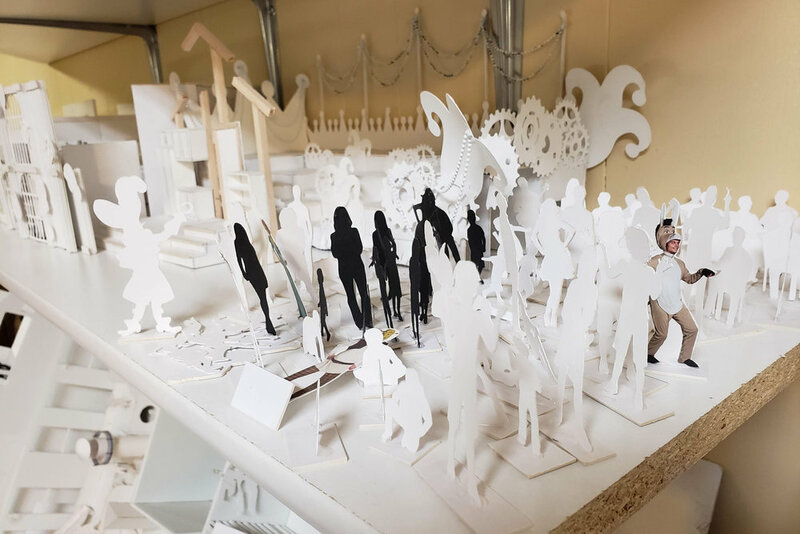 A model can also be put on display for the team or the public to reference throughout the rest of the design and construction period. Digital renderings are a fantastic supplement and have advantages of their own, but for me (for now), the model is still my primary building block and inspiration. White models are spilling off the shelves of my studio. Bits of foam core, mat board, and string get tangled in the shag carpet. The cat gets startled every time I burn my fingers on hot glue and curse loudly, but I just can’t yet see myself giving up my modeling career. The art of theater is 2+ millennia old, and storytelling is always storytelling … but the theater industry, like any other, is subject to trends and advances in technology. In the 21 years since I finished my theater degree, it’s no surprise that tools and techniques have evolved. LED lighting instruments, stronger and lighter construction materials, countless new recipes for realistic-looking stage blood, and on and on. One of the quickly-changing aspects is the process of design itself. When I was learning how to create ground plans and how to develop construction drawings (and it doesn’t seem like that long ago! 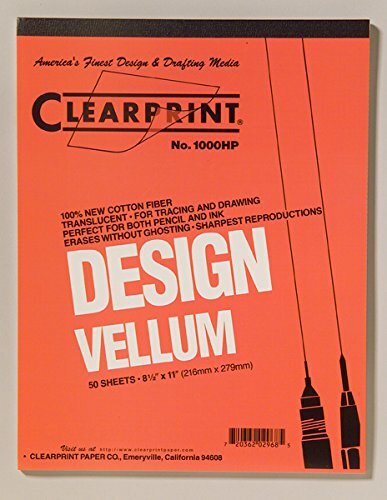 ), everything we did was on vellum paper, drawn in pencil. Computerized drafting software existed, but it was far from what it is now. It made sense to learn the “tried and true” methods at the time. Needless to say, drafting/design software and image manipulation software have evolved in leaps and bounds over the past couple decades, but once I had left school and hit the ground running with theater jobs that had me working around the clock and around the calendar, it became really hard to find the time or resources to learn these new-fangled skills and put them into practice. Luckily, in the past couple of months (thanks in part to a fellowship grant from the Arrowhead Regional Arts Council), I’ve been able to finally start learning Vectorworks, a software package that is used in a variety of design professions and can do amazing things with 2D and 3D scenic/construction drawings, as well as stage lighting design and visualization. Boom. Mind blown. I still have a lot to learn, but I can already draw a ground plan or construction drawing on the computer nearly as quickly as I can do with pencil and paper — and of course with the digital end-products, it’s much easier for me to be precise, to automatically calculate angles and add dimensions and textures, to quickly add/subtract/move a wall or platform when the production requires a major change, and to share ideas and changes with the rest of the design team (who are very often in another city or state)! When I get really good at this, it will be a great time-saver and paper-saver. It’s even easy to turn two-dimensional ground plans or construction drawings into three-dimensional representations of the stage and scenery. So cool. It allows me to experiment in ways I certainly couldn’t do before. I definitely feel more professional and more on-par with industry advancements. Model piece and digital construction drawing of wall for Portrait of a Madonna. This week on Friday I opened my final two productions of the year (lighting design for A Christmas Story at Fargo-Moorhead Community Theatre and scenic design for Dear Elizabeth with Renegade Theater in Duluth), so it feels like a good time to look back on 2018. I know I’m a busy guy, but I’m always surprised when I count up the projects I’ve done in a year. In 2018, my team and I opened a whopping 25 theater productions (either designing, building, or both), 1 escape room, and 2 major exhibits. Phew! A lot of the design work is done on my own, but there’s no way I could do some of fabrication projects without my team of hardworking BrownKnows Design freelancers. Thank goodness for talented friends without full-time jobs, right? Besides the 25 theater productions that I did this year, there’s another reason that the number 25 is pertinent… I realized that I’m going into my 25th year of doing theater! Who knew, back at the community college when I was forced to choose between a public speaking class and a stagecraft class, where that choice would lead? I had never been involved in theater AT ALL (aside from Sunday School plays that my mom wrote), but that stagecraft class opened my eyes to a new field. My own spreadsheet lists at least 300 productions from then to now (and I’m sure I’m missing a few), so that means that I have averaged slightly more than 1 PLAY PER MONTH for each of the past 25 YEARS! And you’d be surprised how few of them have been repeats. Jeez, can I retire yet?? So anyway, best wishes to the two shows that opened this weekend (and continue for the next couple weeks, so check them out)! The opportunity to work with fun and creative people who are passionate about their art is what keeps me going when it all gets too crazy. I’m already in the discussion and planning stages for at least 10 shows in the first few months of 2019 (as well as an exhibit or two), so you haven’t heard the last of me yet. Right now I’m particularly looking forward to a lighting design residency in Phoenix in late February/early March… Hmm, maybe I need an agent to book me somewhere warm and sunny in the middle of every winter! Best wishes to you all in 2019! We can’t truly understand other people unless we have walked in their footsteps… This is one reason why I enjoy travelling to other parts of the country and world, and it’s also one reason why I enjoy theater and museum/exhibit design — the chance to create immersive environments that transport us into a different culture, time period, or set of circumstances. Earlier this month I traveled to the “Deep South” for both business and pleasure… to visit a friend and also to visit some highly-acclaimed museums and cultural centers. 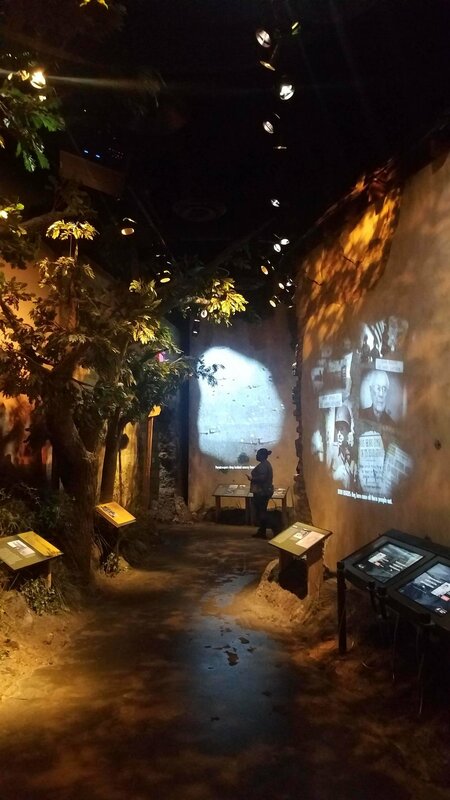 Because I work in exhibit design, every time I see a new museum I am learning from others’ techniques, materials, and methods of presentation, but I also get the benefit of education about such vast topics when visiting these places. My week began in Louisiana, where my good friend Peter has been Executive Director of Knock Knock Children’s Museum in Baton Rouge for the past couple of years. I’m really proud of the work Peter has done at Knock Knock and am also thrilled that he will soon be back in MN as a full-time museum consultant, so we will hopefully get to collaborate on some projects soon! After a couple of days absorbing the culture of the bayou (where we had close encounters with a Piggly Wiggly store, lots of deep fried seafood, and both alligators and dolphins), Peter, Mandy, and I hit the road to cram in as many museum/cultural sites as we could for the next 3-4 days. One of our first stops was the Mississippi Children’s Museum, in Jackson, MS. I have seen 15-20 children’s museums around the country by now, and each one is unique. It’s especially nice to see how they each present their region’s distinct qualities through interactive exhibits. While still in Jackson, we took a turn for the more serious with a visit to the Museum of Mississippi History and the Mississippi Civil Rights Museum, which reside together on the same property. Talk about heavy material... I was born in the South (1968 in Memphis, TN, just 10 days before Martin Luther King, Jr. was assassinated right there), but I haven’t spent much time there since I was a baby. Learning about the Civil Rights while you’re actually IN the states that have felt some of the most turmoil (and being old enough now to really understand the significance and see how far we still need to progress) is a very different experience than reading about it in history class in mostly-white Minnesota as a teenager. The next day, we moved on to Montgomery, Alabama, where we went to the Legacy Museum (located in a former warehouse where black people were enslaved while waiting to be sold, and a block away from one of the most prominent slave auction sites in America) and the National Memorial for Peace and Justice. 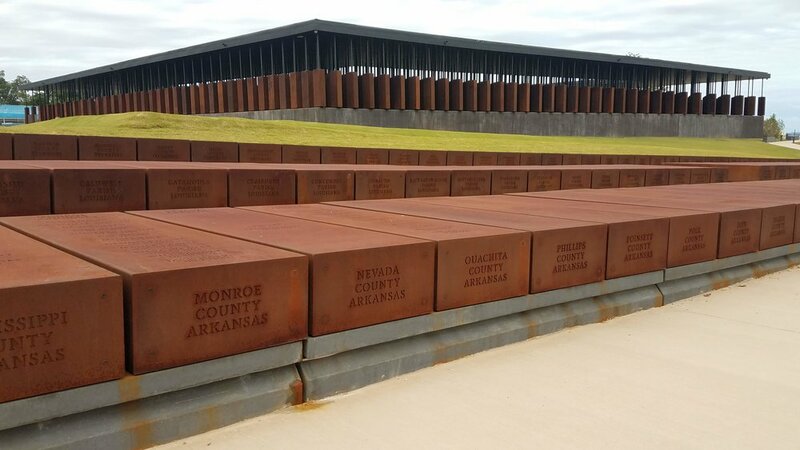 The Memorial has 805 hanging pieces of steel that represent the 805 counties in the United States of America where documented lynching has taken place. Sadly one of those lynchings took place in my current home of Duluth, MN. One section of this National Memorial will eventually be brought to Duluth and erected at the site of the lynchings. The last museum on this journey was the National World War II Museum in New Orleans, LA. Wow, that place really takes the interactive/immersive concept to a new level. Each room is full of historical artifacts and video that really transport the visitor to another time. I was fascinated when I started to count how many video projectors and Source Four lighting instruments were in each room — I can only imagine the complexity of maintaining these exhibits. In all, I’ve given you just a small taste of what was a very intense and thought-provoking week… I may have started from the goal of experiencing a variety of museum styles and exhibit construction techniques, but I gained so much more from my experiences than just that. Every time we make the effort to understand someone else’s history or stories, we also understand a little bit more about ourselves. 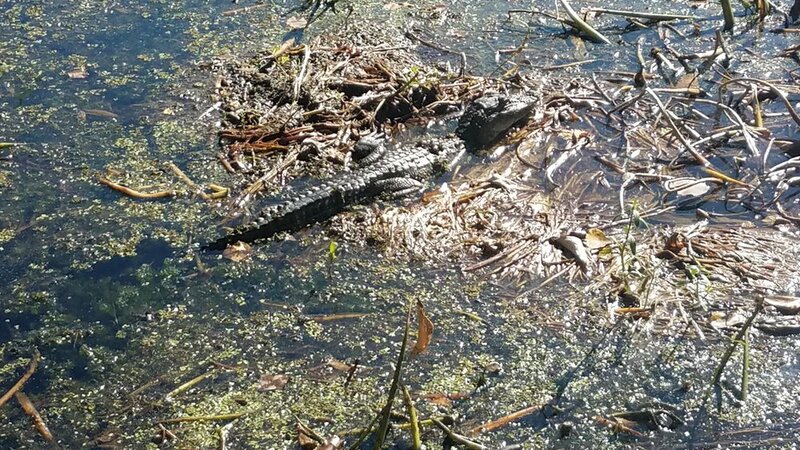 OK, now since you patiently read all the way to the end, here’s my dramatic Louisiana ‘gator picture for you as a reward. I’m heading out again next week for nearly three weeks of residency gigs in the Twin Cities, doing a lighting design at Stages Theatre (Mary Poppins Jr.) and both lighting and scenic design at Maple Grove High School (Tuck Everlasting). Feel free to keep an eye on my Portfolio pages for other recent and upcoming endeavors! Where in the world is Jeff? Can YOU order 450 Legos, bar stools, and salon chairs, and call it "WORK"? I do!